For me, Caveman are one of the most underrated bands in the game right now. They deserve a hell of a lot more praise than they get. One trip to one of their outstanding live shows will help you understand. They’re on tour celebrating the release of their new s/t album, which is not one to miss. 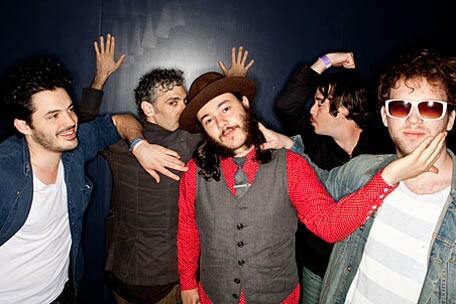 Tomorrow night they make their triumphant return live to NYC with a stop at Webster Hall. I have never been let down by one of their live shows, and I don’t think tomorrow night will be any different. Tickets for the show are still on sale, and available to purchase right here. You can be you’ll see me there tomorrow night. Sorry in advance if I happen to be in front of you.